I am back from a wonderful spring break vacation with my kids ~ we stayed at home and went down to DC and Old Town Alexandria and enjoyed the gorgeous weather. 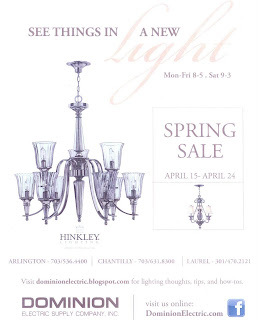 So now I'm back at work, and we are gearing up for our annual Spring Sale! But all of our dear blog readers and Facebook fans can print out this card and come in now to enjoy the sale prices early! 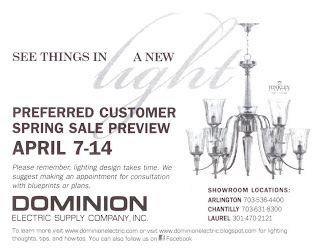 All in-stock lighting is 15% off our everyday low prices, and we also have lots of red-tagged marked-down items in all 3 showrooms ~ those items start at least 30% off our regular pricing, and some have been reduced drastically more. 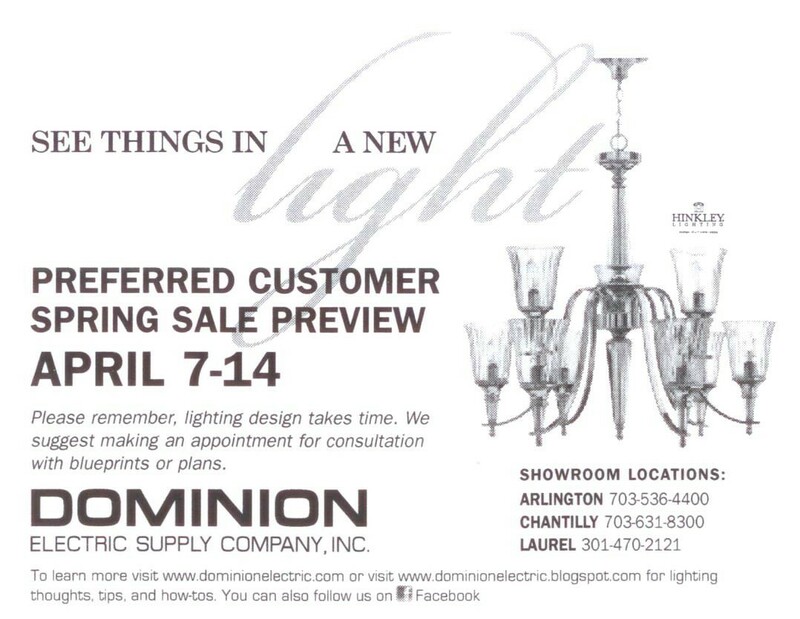 So come on in and get some great deals on new lighting for your home!